This has been postponed from 29 June to Monday 6 July. 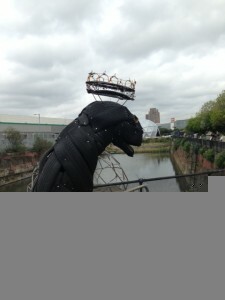 Â We will meet at 7.30 and take a leisurely canal side ride to the Ledger Pub in Canary Wharf. 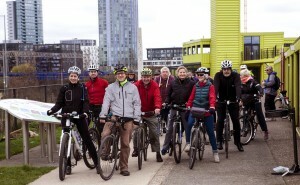 13 of us gathered at the View Tube in the Sunday morning gloom, with 12.5 bikes. 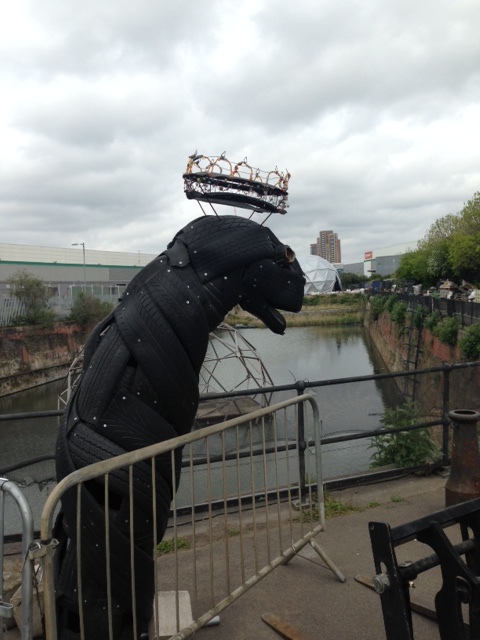 Â With a spirit of undaunted adventure we nevertheless headed for south of the river, but not before seeing the new developments at Cody Dock (now open weekends), including theÂ innovative design for theÂ new bridge. Â We continued this year’s theme of sculpture by taking in 6 of theÂ 10 sculptures on the Sculpture Line started our inspection of the Sculpture Line, including works by Damien Hirst and Anthony Gormley. 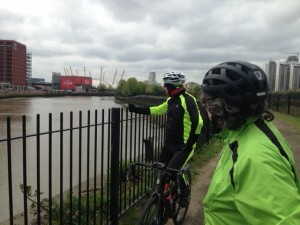 Â This was topped off by a short cruise on the Woolwich Ferry and a return along the Greenway. Â In the processÂ we discovered that the Greenway diversion has now been signed and various minor improvements completed. 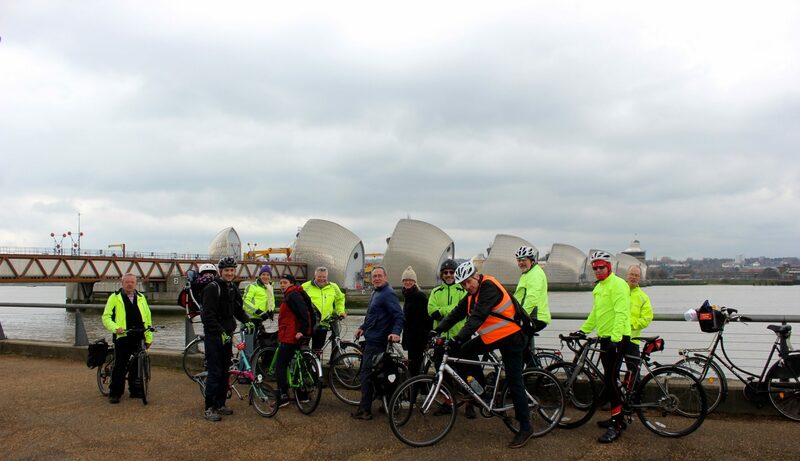 A record 8 of us made it back to the View Tube – a thoroughly enjoyable 21 miles.Â by which time the sun had come out. A combined team from Newham Cyclists men’s elite and vintage squads, eight in all, set out at 10.15 am Â from the View Tube inÂ cool but dry conditions to complete the only etape of theÂ 21 mile Tour of Newham. 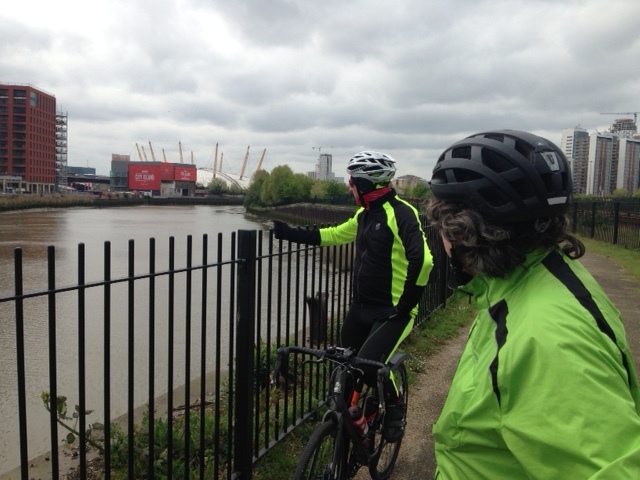 Some tricky windy conditions were overcome on the new trial stretches aroundÂ North Woolwich and up the Roding Valley. Â A high rate of attrition meant that only 2 riders (one each from the vintage and elite categories) made it, at 2.00pm. from the foothills of the Lea Towpath up the final col de Greenway to the View Tube and a pot of Earl Grey. 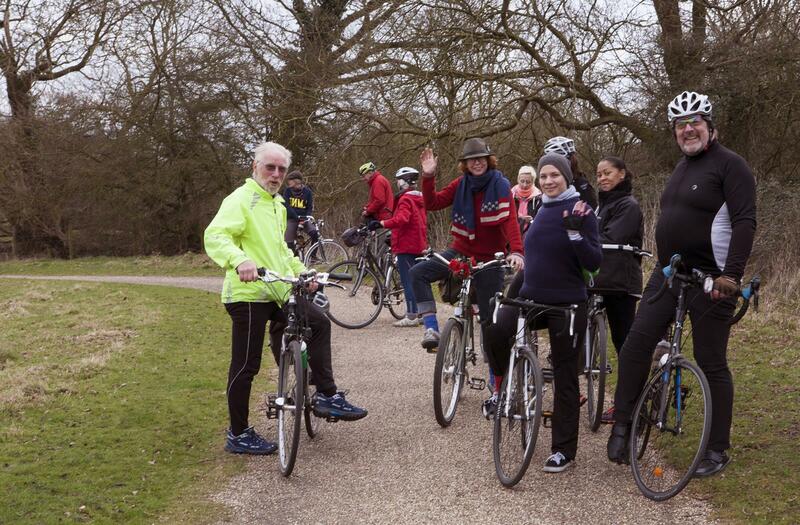 Our next Newham ride is on Sunday 14 June. Thanks to Steve for these photos. We discussed the wide ranging review meeting which took place with the Newham Council Sustainable Transport Officer onÂ 24 April. Â Further details are annexedÂ below. We discussed future rides and were grateful to Steve for volunteering to be our ride co-ordinator. We decided to take the opportunity of publicising our group at (1) the Newham show, (2) the Forest Gate Festival and (3) the monthly Dr Bike sessions in Stratford. The next Newham Ride is 2 May (see calendar). The committee will be meeting Sustrans and the new Newham Council project officer in relation to the Quietways. We will be riding the route of theÂ proposed “A 406 Quietway” with Sustrans and Newham Council. Next year priorities likely to be contraflows around Stratford/Plaistow N and A 406 route – see below). We drew attention to need for priority to be along proposed quietways i.e. Ismailia Rd FG. A 406 QW: Sustrans have done initial scoping and land ownership looks helpful, as key plots owned by LBN, or TFL or (ultimately) AM Trust.Â Northern section is most direct if it follows road rather than Little Ilford Park. Stratford Gyratory design sessions to take place this summer. 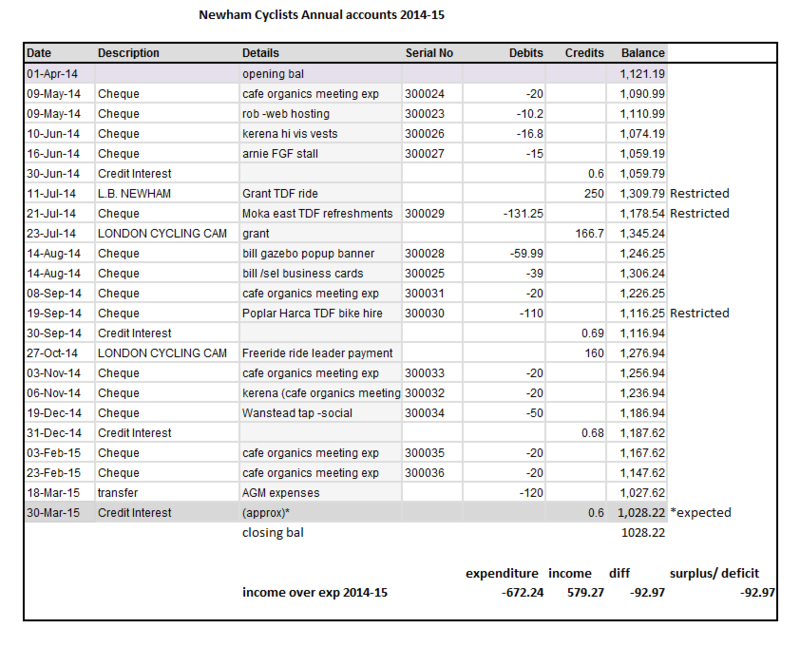 Newham Cycle Strategy should be put in place 2015/6.Â Â We supported the idea of a detailed strategy drawing , for example, on ward audit projects. 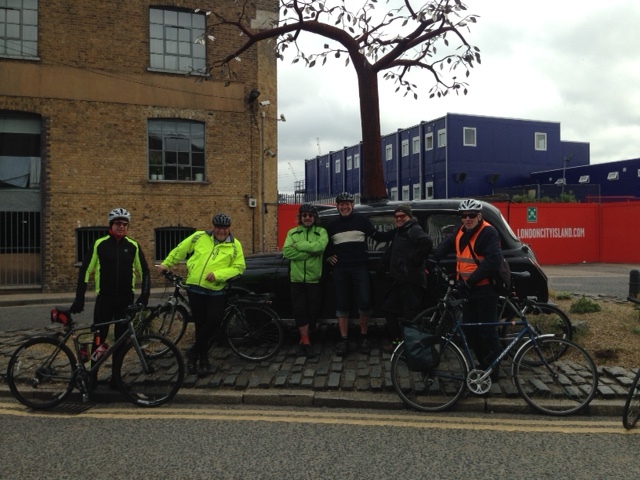 The season of Newham rides started on Easter Saturday. 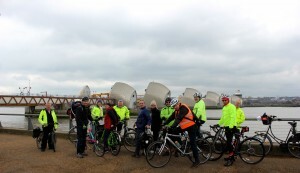 Â Here are a couple of photo’s taken by Chris KendrickÂ of our stop at the Thames Barrier. Â Â Can you spot Â the Easter bunnies (not theÂ baby on the Brompton!)? 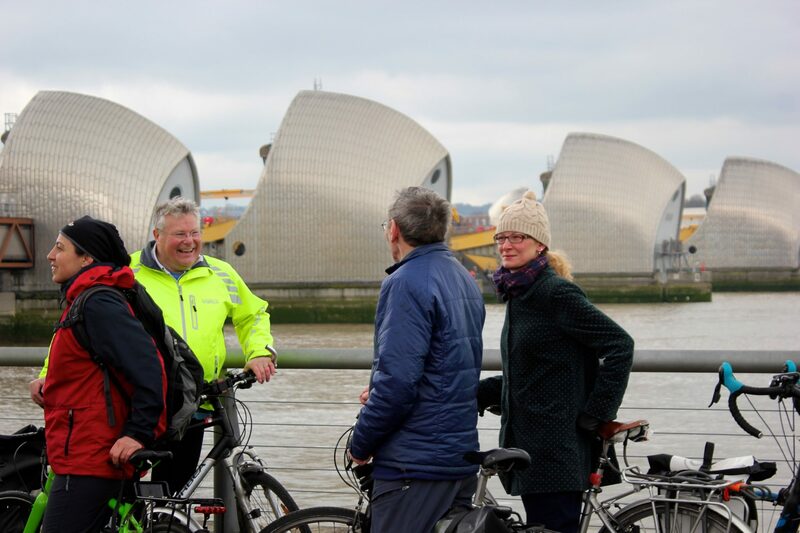 Our next Newham Ride is on 2 May. Here is Newham CyclistsÂ response to a consultation for a scheme at theÂ Â East Ham South end of Lonsdale Ave. Â It is progressive in incorporating cycle contraflow but disappointing in not extending 20mph to the roads that count. Â If you would like details of the scheme please use the contact address on this website. “Thank you for consulting on this proposed scheme. Newham Cyclists strongly support the use of cycle contraflows as part of this scheme and throughout “urban Newham” to create cycle permeability which will be an essential element of making cycling a viable and enticing form of transport for both everyday and leisure purposes.Â We trust this represents a change in policy following earlier decisions rejecting cycle contraflows in similar situations (e.g. Cramner Rd). We support 20 mph throughout the borough (except for trunk roads) and therefore oppose this particular scheme as the 20 mph is not extended to Sandford Road, Lonsdale Road and High Street South. The absence of a 20 mph limit is inconsistent with the speed reduction measures in Sandford Rd (humps) and Lonsdale Rd (point restrictions). If this scheme has not been made the subject of a TfL standard cycle level of service assessment (CLOS) we urge this to be done and for it to be reconsidered if it achieves a score of less than 40. With the weather looking dry, breakfast and/or morning coffee having been taken at the view Tube, 20 of us set out for Ware along the Lea Valley. Â Our group included guests from Romford, Stockwell and Greenwich. With only minor mishaps (one puncture and one deviation from the route) we managed to reachÂ coffee/lunch at theÂ white Water Centre. With time getting on we decided that Broxbourne was far enough, so we fixed the second puncture and enjoyed a breeze assisted ride back to the View Tube with occasional glimpses of sunshine. 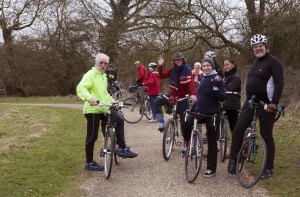 Thanks to Chris Kendrick for leading us for this enjoyable 40 mile jaunt and to Simon Leicester for theÂ photos. Newham Cyclists object to the plans for the Upton Corridor. Upton Lane is a combination of residential and shopping with access from it to both parks and schools. Furthermore the section of Upton Lane from St Georges Ave to Romford Rd is a key section of a proposed North Woolwich to Forest Gate quietway cycle route providing an essential north south route for cycling linking numerous schools and Newham Hospital. This section of road also complements Woodgrange Rd, north of the Romford Rd where improvements are contemplated using Crossrail money. This context requires that genuine priority should be given to pedestrians and cyclists. â€¢	The creation of genuine “shared space” route where a completely decluttered space gives pedestrians and cyclists as much priority as motor vehicles, following the principles put into effect, most notably, in Exhibition Rd. This scheme is misconceived because it does neither; the result is expenditure of public money which will be wasted in gestures to cyclists and pedestrians, but which will not achieve the proper objective of making the Upton Lane along the Upton Corridor a living street which pedestrians and cyclist will consider themselves safe and will actually want to use the space – as opposed to a space where the needs of cyclists and pedestrians remain so obviously secondary to those of motor vehicles. A particularly egregious example of gesture expenditure are the cycling “patches” when the scheme as it stands is unlikely to bring about any significant increase in cycling as it does not properly address the safety of cyclists and certainly will not increase the perception of safety for cyclists. Therefore this scheme does not assist in bringing the level of exercise in the Borough up from its present shameful place of the worst in the country. No serious thinking appears to have been given to cycling. 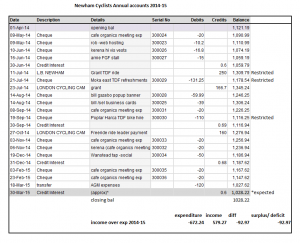 In particular there does not appear to have been a Cycle Level of Service (CLOS) analysis. This should be done. In the light of the above, Newham Cyclists advocate the scrapping of these plans and replacing them with something giving genuine priority to cyclists and pedestrians following one of the models outlined above. â€¢	It is vital that this whole section of Upton Lane be limited to 20mph, given the context outlined above. Furthermore, (a) a 20 mph limit is a the natural complement to steps taken to prevent fast exit from side roads, to facilitate pedestrians crossing the road, and to improve the general environment; (b) the curving line of the road makes travelling more than 20mph particularly dangerous. In the past Newham Council have objected to requests for 20mph limits on the grounds of objections from the bus companies. But there is no need for buses to travel at more than 20mph along this stretch of road. â€¢	The Upton Cross and Romford Rd junctions should be made safe for cyclists to normal continental standards enabling them to avoid being “left hooked” by motor traffic and giving a safe option for right turns. â€¢	St Georges Rd should have a cycle contraflow (as already contemplated as part of the LIP minor schemes) improvements, and, as a consequence provision for cyclists to turn right into and out of it should be made, as a matter of joined up thinking. â€¢	We support the additional cycle parking but do not consider it sufficient – particularly as Upton Lane includes one of the very few cycle shops in Newham. â€¢	We support removal of guardrails which just encourage motor vehicle to regard the road as a race track, but consider they should all be removed. â€¢	Build out of pavements should be used to benefit pedestrians and cyclists rather than create additional parking space. We support the removal of the cross hatch dead areas in the middle of the road and central bollards. This is space that could be made available for cycle lanes or tracks.